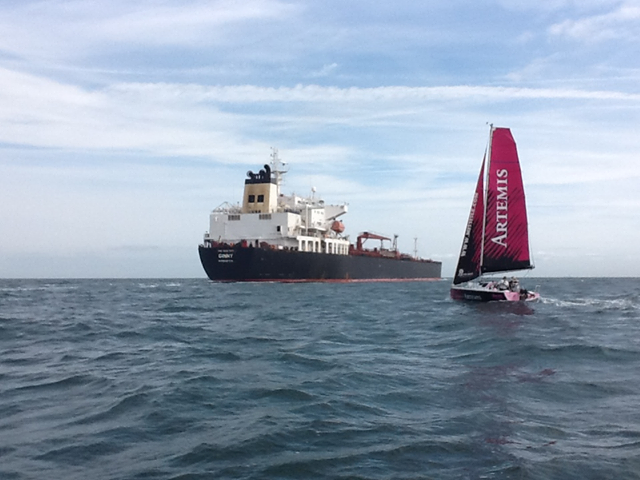 When the team arrived in Boulogne they found that they had aroused a lot of local interest in Natsha and my boat in the lead up to the challenge. On the day of the challenge, 1 July 2013, lots of local people turned out to wave Natasha off and wish her well. What a lovely send off. Four-and-a-half hours later Natasha was in Dover where there was a good turnout to greet her including the BBC and local media. This challenge was again to raise funds for charity and Natasha raised £7021 which was shared between the Ellen MacArthur Cancer Trust, RNLI and Wet Wheels Solent. These 2 events were fantastic, but Natasha also enjoys walking and wanted to incorporate this into her next challenge.